Rebel Flag Three-Piece Comforter Set | BUDK.com - Knives & Swords At The Lowest Prices! 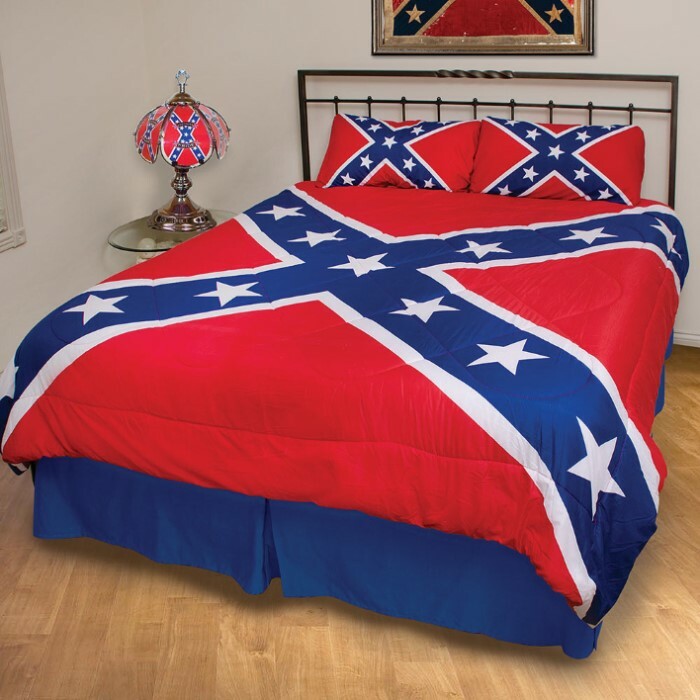 Give your room a complete Southern Heritage makeover with the Rebel Flag Three-Piece Comforter Set. The reversible comforter is 86" x 86" to fit either a full or queen sized bed. It's made of soft polyester microfiber fabric with a polyester fiber fill. Two matching pillow shams are included.